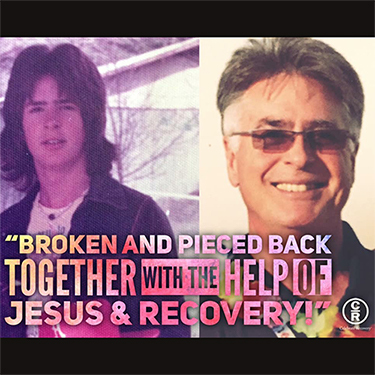 My name is Tyler and I am a believer who struggles with addictive behaviors. I grew up in a Christian family and we were church goers for all things church. Youth groups, Weds night dinners and teachings and of course Church retreats. I have no excuse for falling away as I did and spending 23 years in active addiction. I was and athlete and played all sports and lettered in 2 varsity sports in High School. I liked the attention it gave me. I also was an attention seeker. I still struggle with that. One of the things it led me to was following a crowd of people I thought was cool. They were also rebels and at that time called Hippies! Weed was the main thing they used to get high and I tried it. It led to other things to experiment with and I did. I eventually went to college and found a different and easier to obtain drug in alcohol. It led me to being arrested and nearly kicked out of school. I did however graduate and then moved to a sales job where money was decent, and drugs were easier to get. I fell in to that crowd again. I was a successful salesman for many years. The drugs finally took over my life and it led me to losing everything I had. As I look back, losing everything is what I truly needed to become the man I am now...broken and pieced back together with the help of Jesus and recovery. 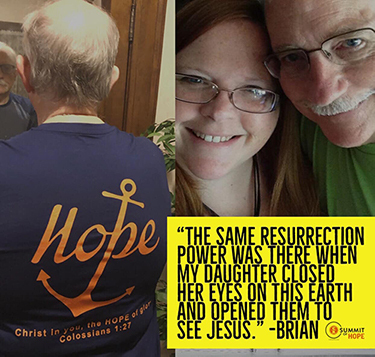 Recovery led me to Christ, and worship, and a lifestyle that is so much more fulfilling than hiding from the law and living in the dark with no hope or money to turn on the lights. 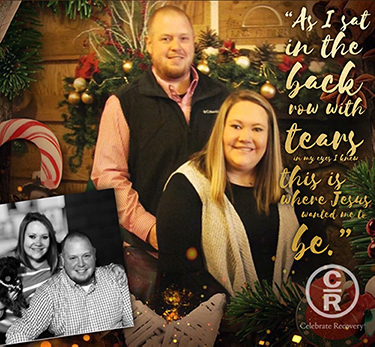 I had grown up in church and believed in Jesus, but it wasn’t until I put down alcohol and chose Jesus to lead my life at the age of 27 that I began a living relationship with my Lord. However, when I said “I do,” I gave up Jesus as my priority, and co-dependency took over my life. In 2004, my marriage ended after 26 years. I had been living in codependency afraid of my husband’s anger. My relationship had been entirely based on pleasing someone else. So when the marriage ended, I felt like a teenager trying to figure out who I was. I had been sober for almost 30 years with the help of AA, so I sought out Christ-centered help that included this kind of gut level honesty. A program out of Saddleback Church caught my attention as I had found Rick Warren’s book “Purpose Driven Life” very helpful in my recovery journey. I ordered the Celebrate Recovery Starter kit with the intention of sharing it with my pastor and starting it in my church. 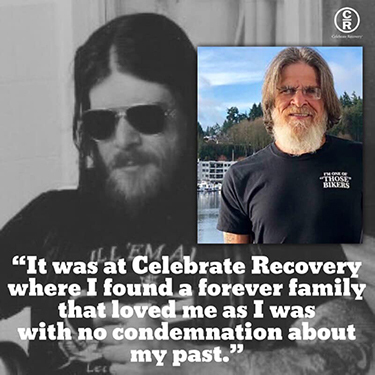 In 2005, I attended my first Celebrate Recovery Summit at Saddleback Church, and was blessed beyond words. As I attended the workshops, and learned more about CR, I felt as if I had come home!! Everything I heard brought me healing. This Summit was also the first time a new outreach program of Celebrate Recovery was introduced: Celebrate Recovery Inside (jails and prisons). 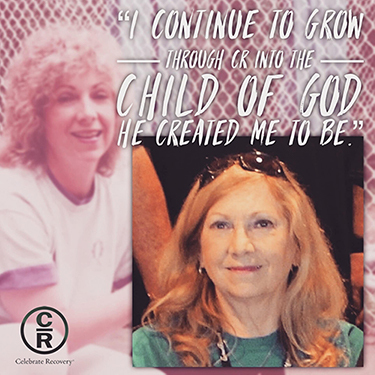 As a Probation Officer for 22 years, my goal was to help people, and now as I saw how much CR was helping me, I knew it would help the defendants and inmates in prison. I brought the program back to my church and to the prisons and jails in my community where I seek to continue to bring the restorative impact of CR to our inmate participants and their families from incarceration through re- entry into the community where CR is a ministry of the local church. I continue to grow through CR into the child of God He created me to be and I seek to follow what He has called me to do. Only 8 months after our wedding we were both serving in the church when our marriage took a hit that I wasn’t sure we’d recover from. At this point in our marriage I really didn’t know where to turn. I felt like there was no one I could talk to about what was really going on. We were both faithful servants in the church and, with my trust issues, I worried if anyone knew what was really going on we would both be judged. I did the only thing I knew to do... pray and fast over my marriage and try to figure out how to deal without letting anyone into our issues. What I’ve learned is that is right where the enemy wants us to be- suffering silently feeling alone and isolated! In 1 Corinthians 13:5 it says love keeps no record of wrongs. I knew if I really loved my husband like I said I did then I needed to offer him the same forgiveness Jesus gives and still gives me over and over again. 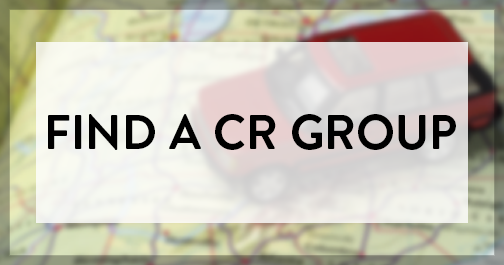 To my husband’s surprise when he asked me about going to CR I said “okay i'll go.” Little did I know is that night I would hear a testimony on how CR healed a couple’s marriage. As I sat in the back row with tears in my eyes I knew this is where Jesus wanted me to be. Just keep coming back is what they say and I did just that! I decided to join a step study and began working the steps. I went through the motions for a while and started praying and asking God why isnt this helping like I thought it would. Yet again the Lord reminded me that you have to be real to get what you need. I finally opened up to my sponsor in more detail. Through sharing with her and others I grew to trust this was a safe place where I could be open & vulnerable. God has done so much!